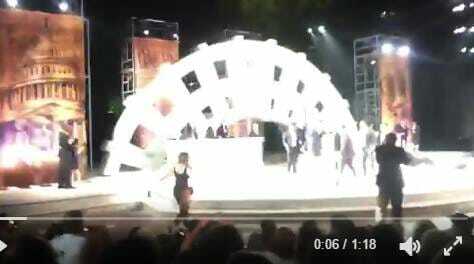 The New York Times and CNN’s parent company Time Warner are standing by their sponsorship of the Julius Caesar Trump Assassination play in Central Park. The play depicts the brutal assassination of President Donald Trump, raising the question of whether the news reporting outlets should retain their credentials to cover and have access to President Trump. Delta Airlines and Bank of America have reportedly dropped their support for the play in the wake of public outrage over the play’s depiction of Trump’s assassination. 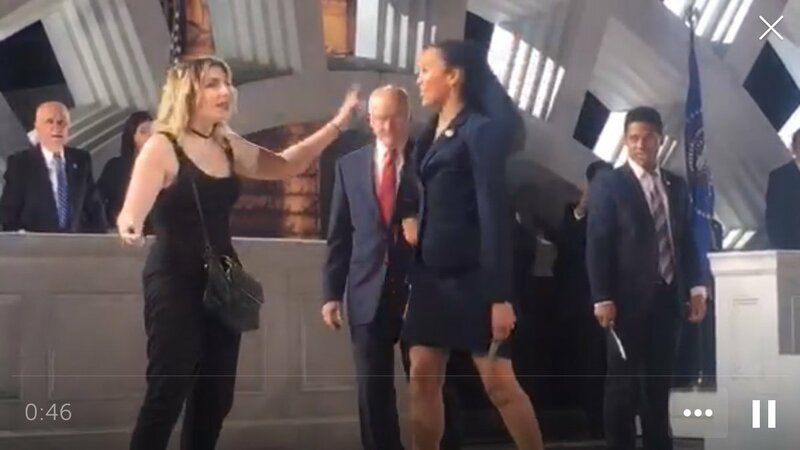 On Friday night conservative investigative reporter and activist Laura Loomer stormed the Central Park stage and condemned violence against conservatives, including threats against President Trump. The leftist crowd booed Laura — they wanted to see President Trump knifed. The actors approached Laura with knives in hand. On Saturday “Very Fake News” CNN had the nerve to contact Laura Loomer for an interview. Laura Loomer told them to denounce the snuff play on Trump first.